I am 30 + yrs. 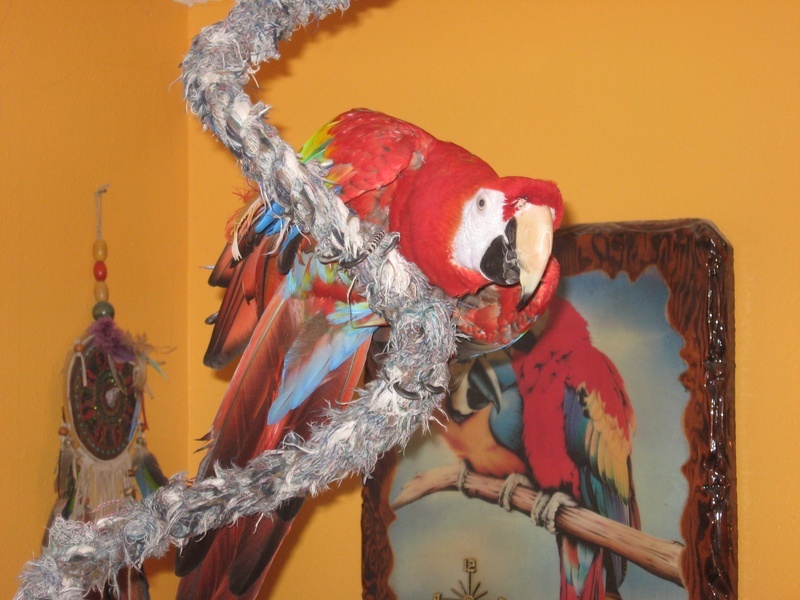 old, I am a bit af a misfit, Mommy rescued me years ago, and my sister Isabella the Blue and Gold, taught me how to be a Macaw. I climb around, eat fruit and nuts, and play with a few toys. I am a happy guy now.